Having lunch with an old friend in George Street is always a pleasure. 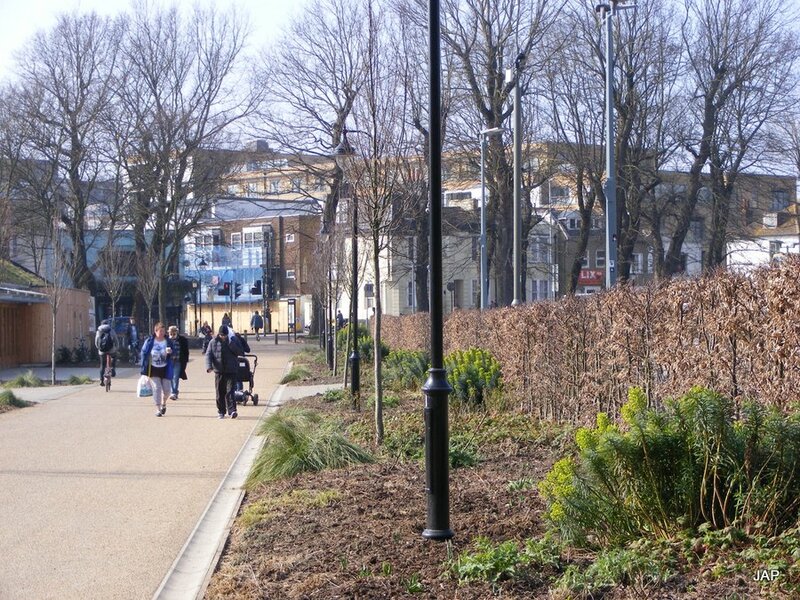 My bus turns off Church Road next to Hove Town Hall so I usually get off there and walk the short distance that’s left. 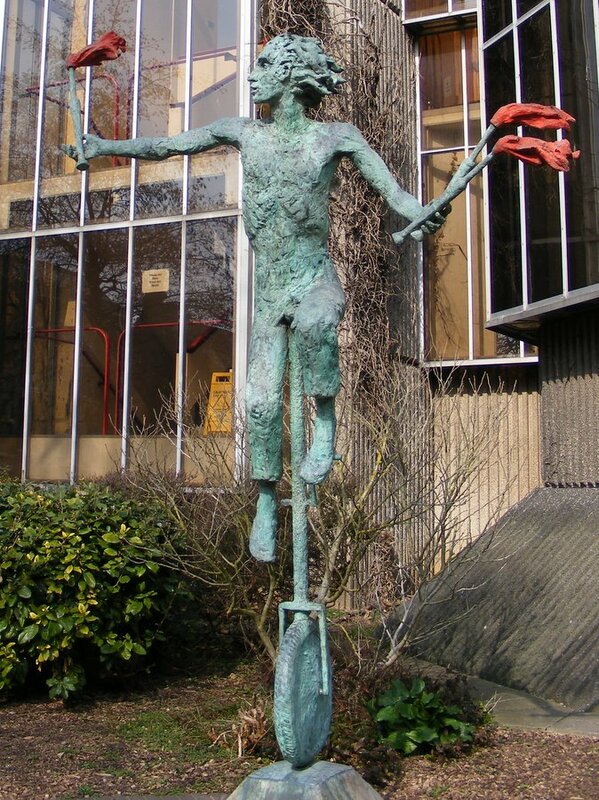 Standing 9 feet tall, the sculpture of a juggler on a unicycle in front of the Town Hall was sadly the last work of the local artist, Helen Collis, who died of cancer in August 1995. 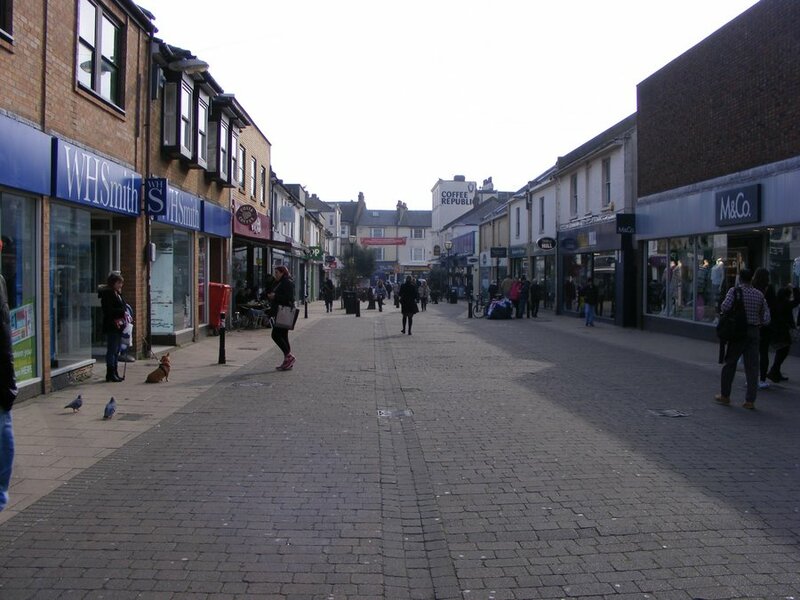 George Street is a very busy shopping area, particularly full of cafés and charity shops -making it a very popular place for meeting up with friends! 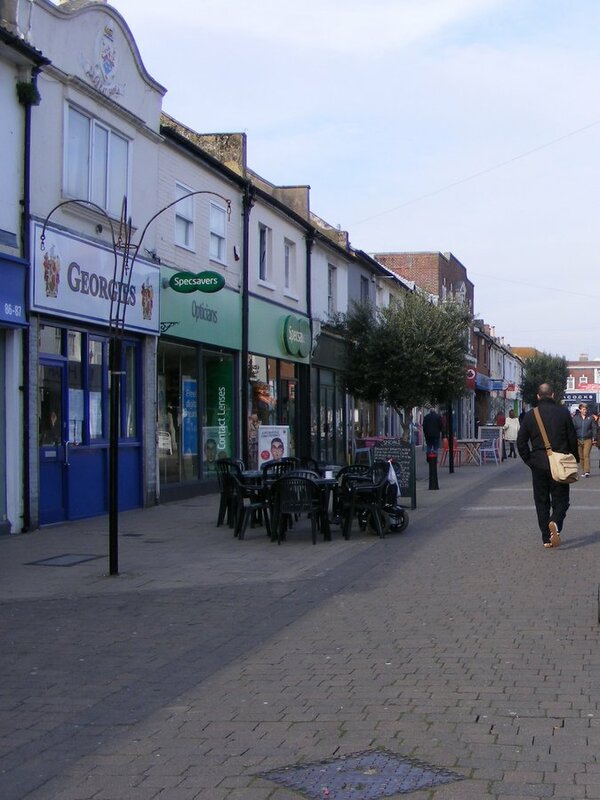 With a nearby supermarket-owned car park, free for a 2-hour stop, and the street itself pedestrian-only, it’s rarely as empty as this around midday. 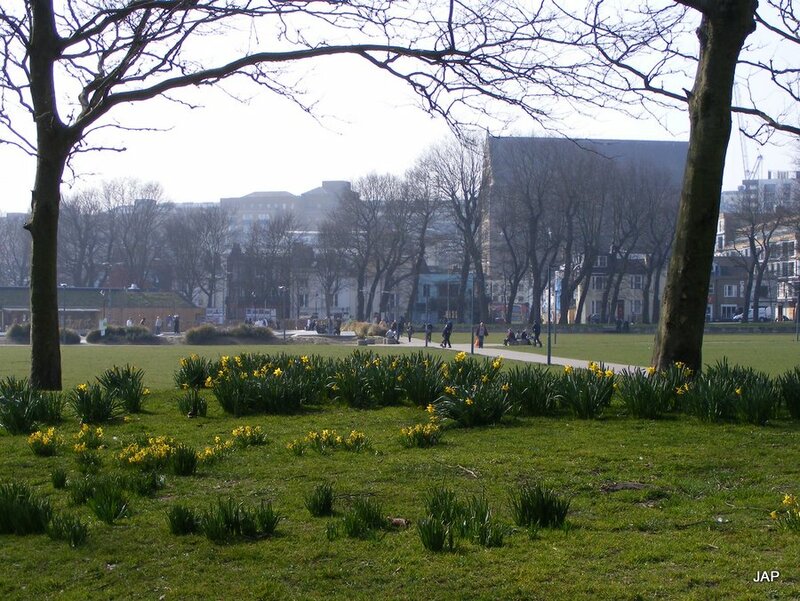 This entry was posted in Hove and tagged George Street, photographs, photos on March 21, 2015 by brightonianbelle. 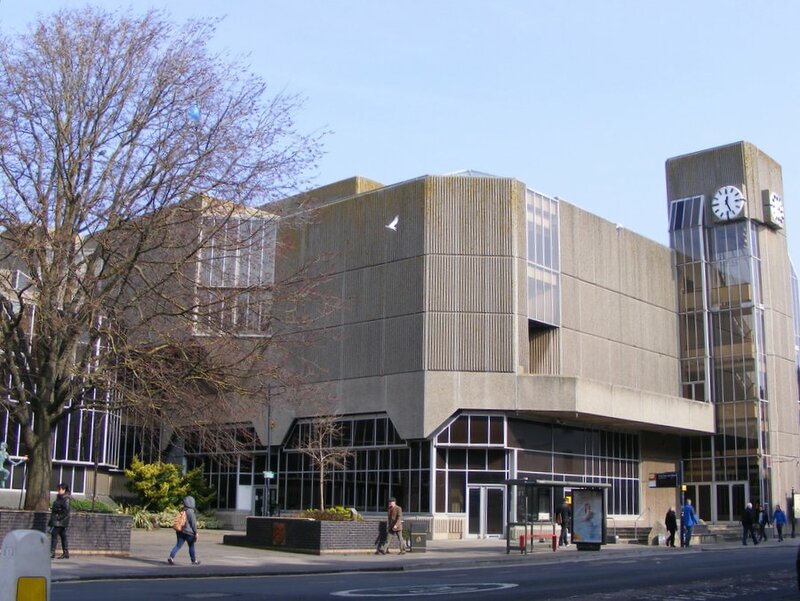 In the autumn of 2013, the Level gradually re-opened following its £2.3 million refurbishment, funded by the National Lottery. 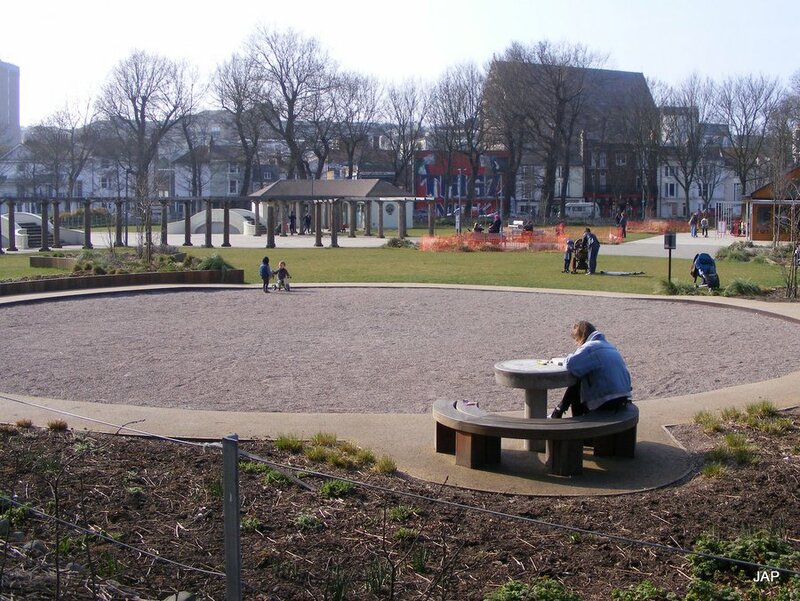 The 8.5 acre park, which had originally opened in 1822 now offers a large new skate park, pétanque and boccia areas, table-tennis and chess tables, picnic tables and grassed play areas, and the Velo Cafe with its green, living roof and cycling-friendly theme. 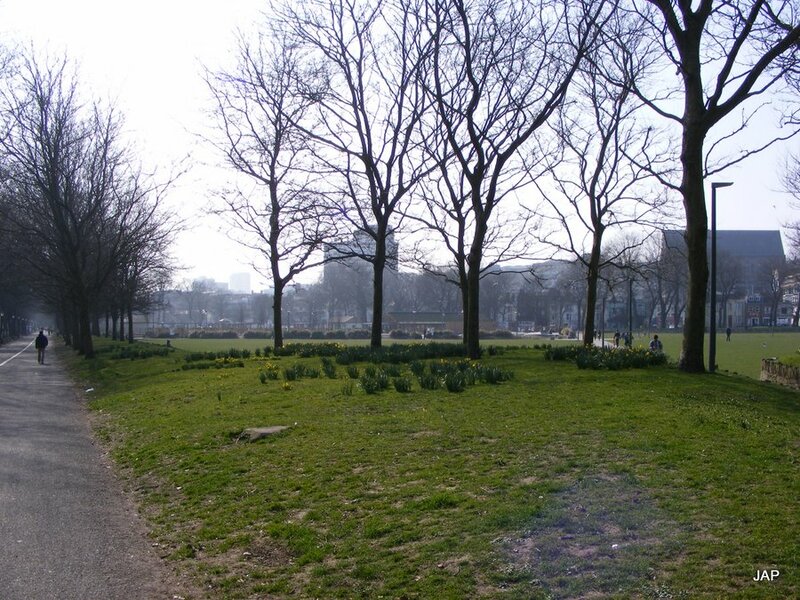 The grassed area at the northern end of the park is fairly unchanged except for a few more benches around the perimeter. 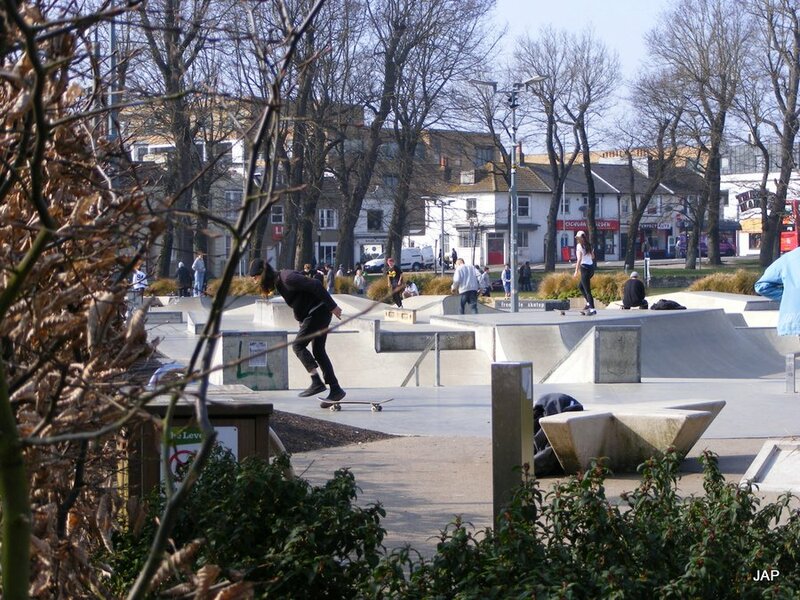 This entry was posted in Brighton, The Level, Uncategorized and tagged Brighton, children's playground, photographs, photos, Skate park, The Level on March 20, 2015 by brightonianbelle. This was The Level in the winter of 2003. 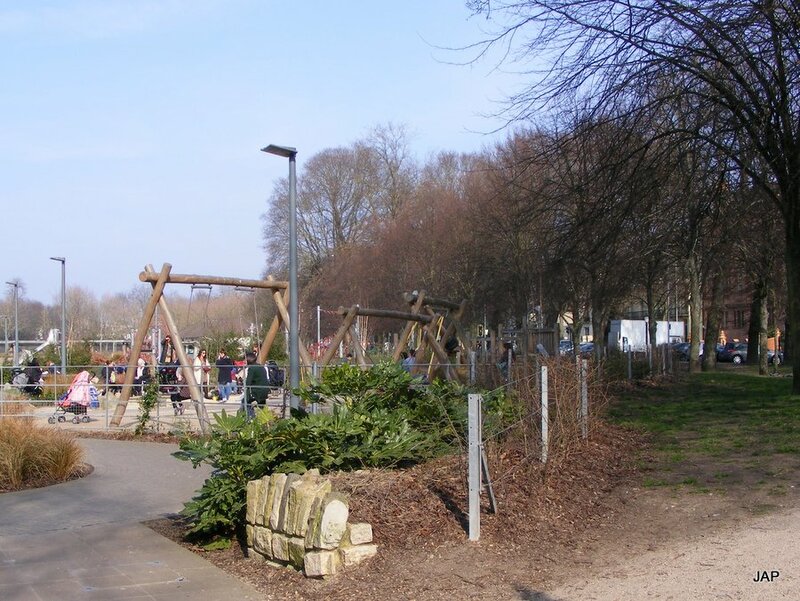 After the hurricane of 1987, which destroyed many of the huge old elm trees which surrounded it, the council had planted many new trees and work was done to improve the children’s playground. 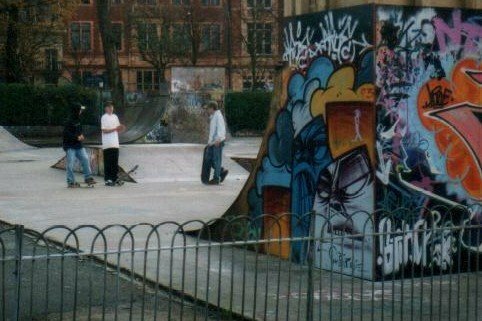 There had been a couple of skate ramps there for a few years, but work was done to extend this and it became a very popular area for both teenagers and younger children. 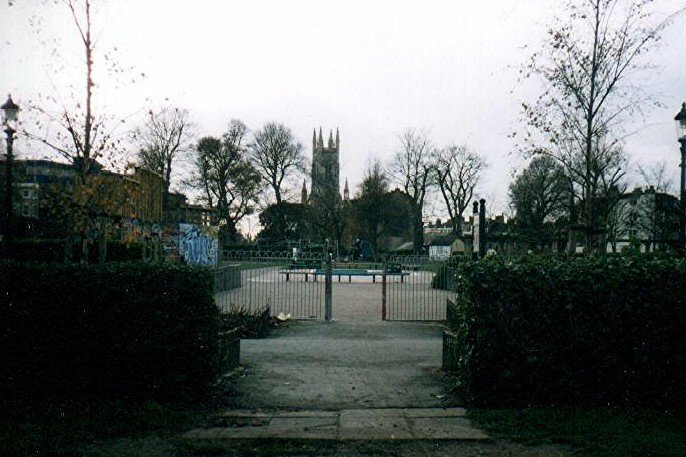 Between the two fake bridges was a paddling pool, and there were two separate playgrounds with swings and climbing frames – one of them fenced off for smaller children. 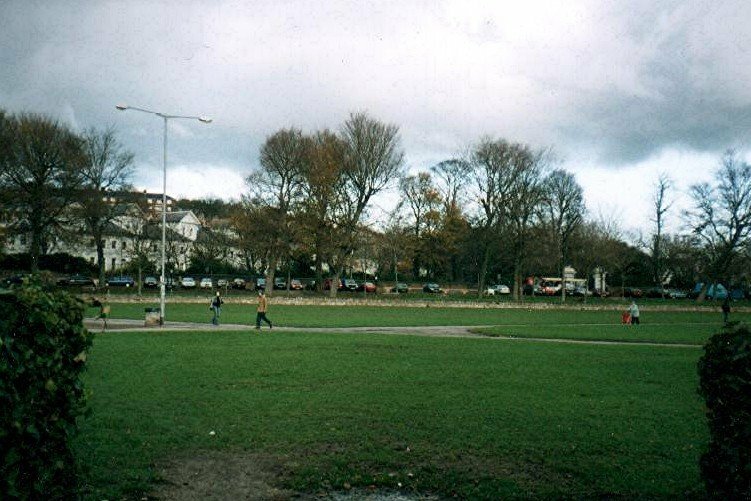 North of the playgrounds was the green grassed area, used for travelling fairs and other activities – including dog-walking. 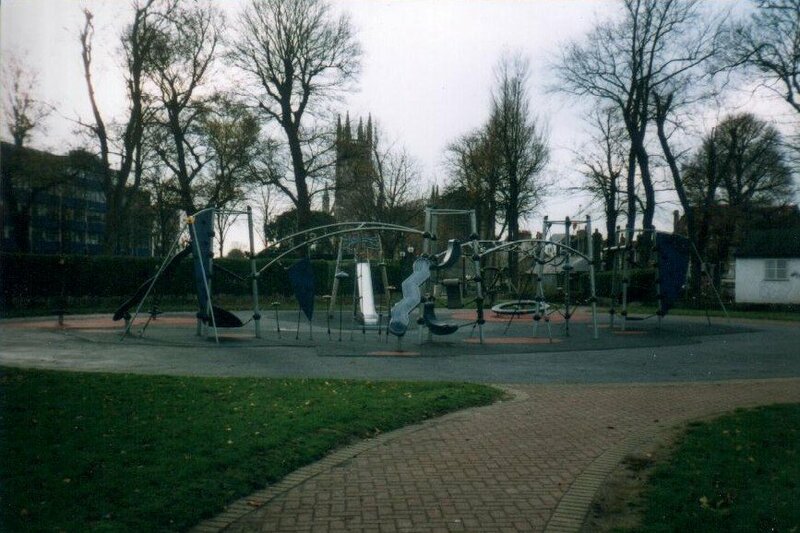 Then in 2013 work funded by the National Lottery was completed on a whole new playground. 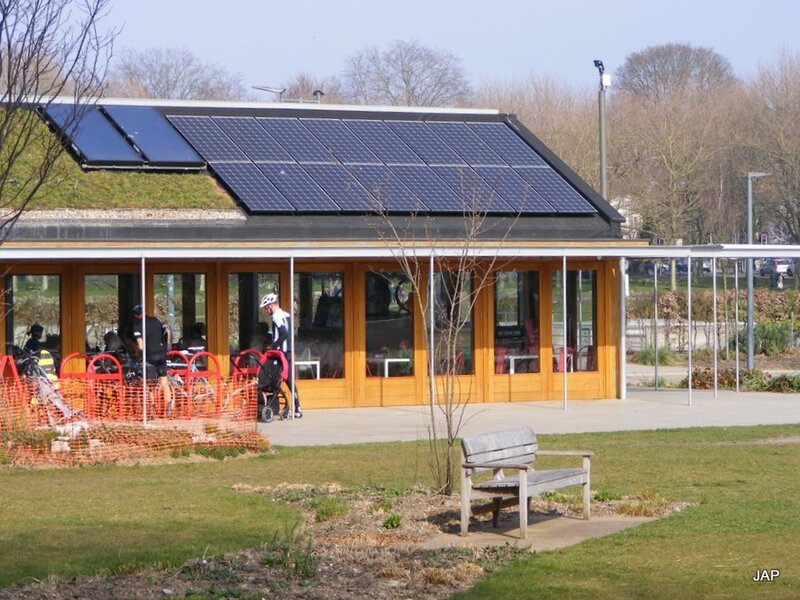 The old paddling pool went but in its place came a large new skate park, pétanque and boccia areas, table-tennis and chess tables, picnic tables and grassed play areas, and the Velo Cafe with its green, living roof and cycling-friendly theme. 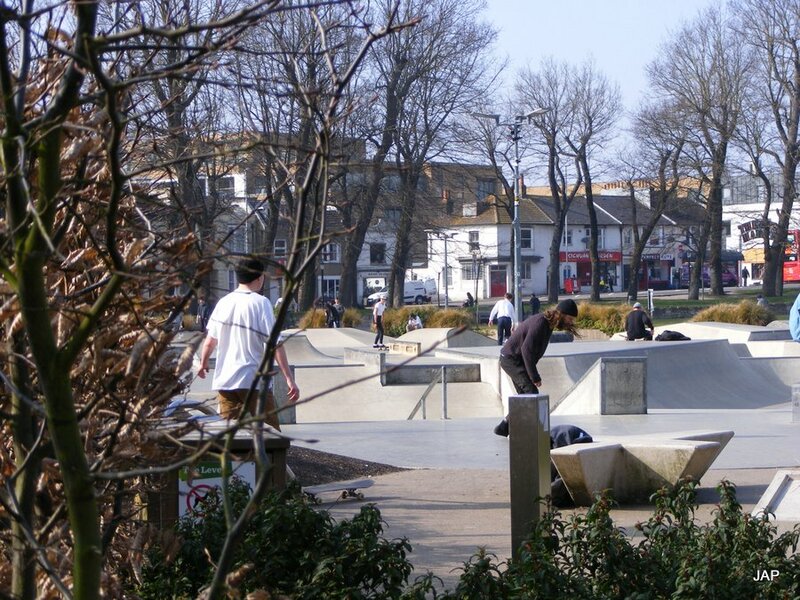 This entry was posted in Brighton, The Level and tagged Brighton, children's playground, photographs, photos, Skate park, The Level on March 20, 2015 by brightonianbelle. Designed by Eugenius Birch and built in 1863-66 in the reign of Queen Victoria, the West Pier was Brighton’s second pier. 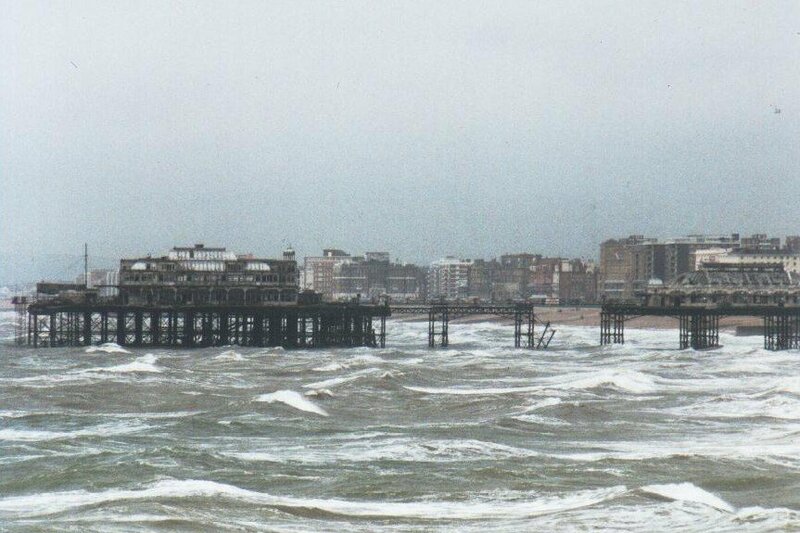 The Chain Pier, built in 1823, was Brighton’s first but a storm in 1896 destroyed what little was left of it by then. Using cast iron threaded columns which were screwed into the sea bed, strengthened with girders and ties to provide the required support for the decking above, the pier was orginally built with two toll houses at the land side, with twin kiosks in the centre and a ladies’ and a gentlemen’s retiring room at the sea end. In the 1870s the middle section of the pier was widened to house a covered bandstand, and in the 1880s further work was done adding a pavilion at the far end, weather screens for the whole of the pier and a landing stage for steamships. 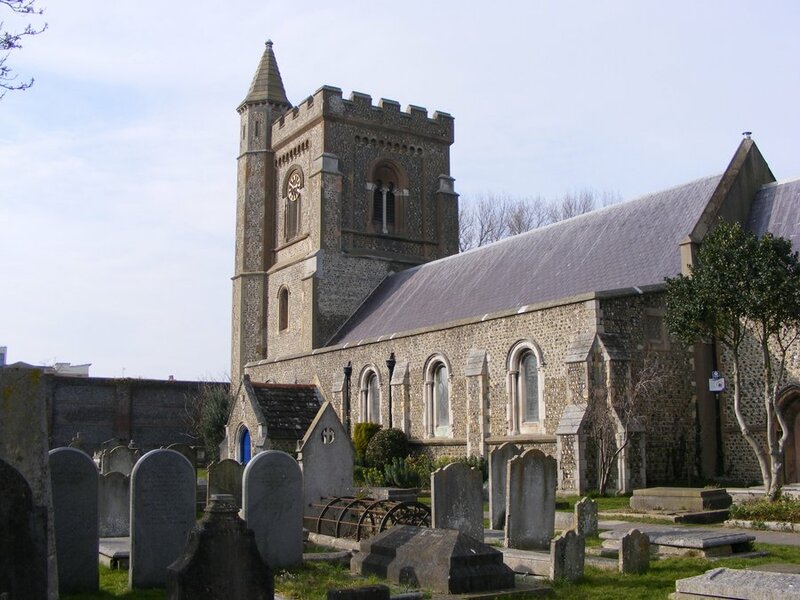 R W Peregrine Birch, the grandson of the original architect, oversaw the final building work which included bathing accommodation. 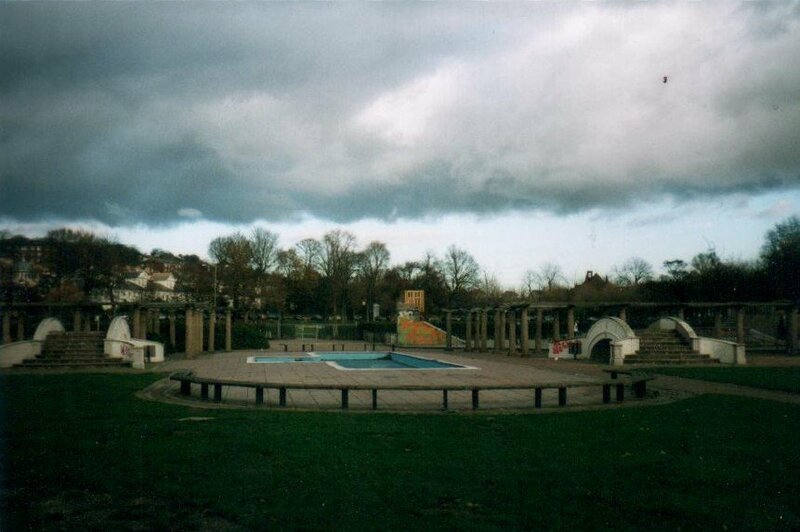 In 1901, the landing stage was enlarged, and in 1903 the pavilion was converted into a 1,000 seat theatre. 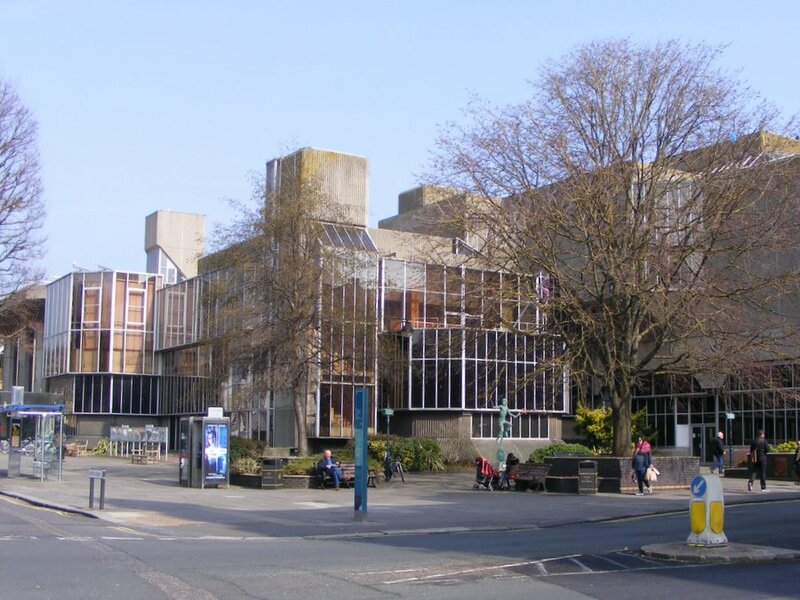 Then, during the First World War, the covered bandstand was demolished and, having widened the pier again, an 8-sided oval-shaped concert hall to seat 1400 people was built around a frame of iron arches. This was completed in 1916 and apart from a new top-deck entrance which was added in 1932 no further major alterations were ever done. 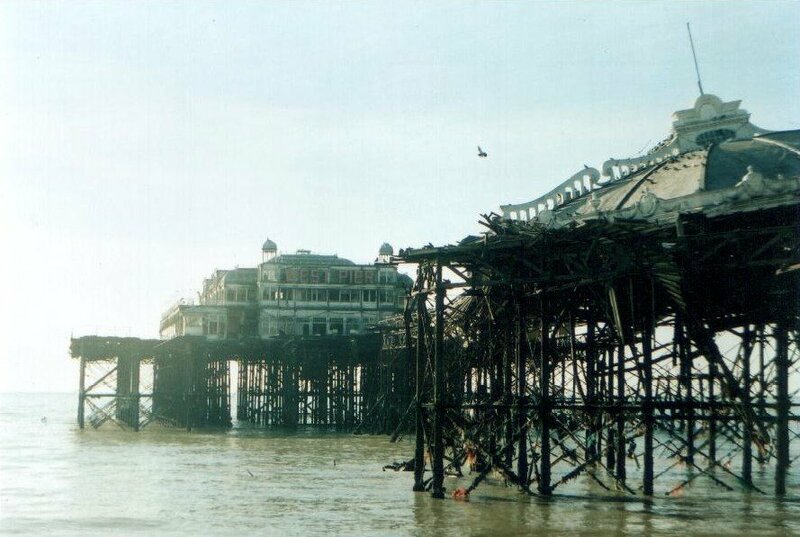 In the early 1960s the West Pier was used in the making of the (1963) film Oh! What a Lovely War, and also in the 1970s film Carry On Girls. 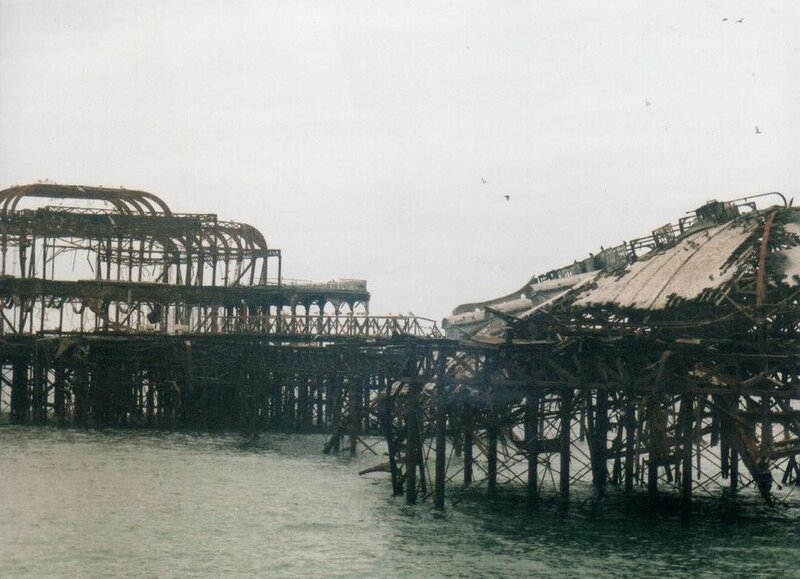 The West Pier was closed to the public in 1975 needing much repair before it could be considered safe, but nothing was done and finally it was badly damaged by storms in the winter of 2002/3. Then, in March and May 2003 serious fires, at least one of which was possibly caused deliberately by arsonists, destroyed much of what was left. In 2004 and again in 2014 further heavy storms caused more damage, leaving the little that remains today in 2015. It’s one of only two Grade 1 listed piers in the UK. 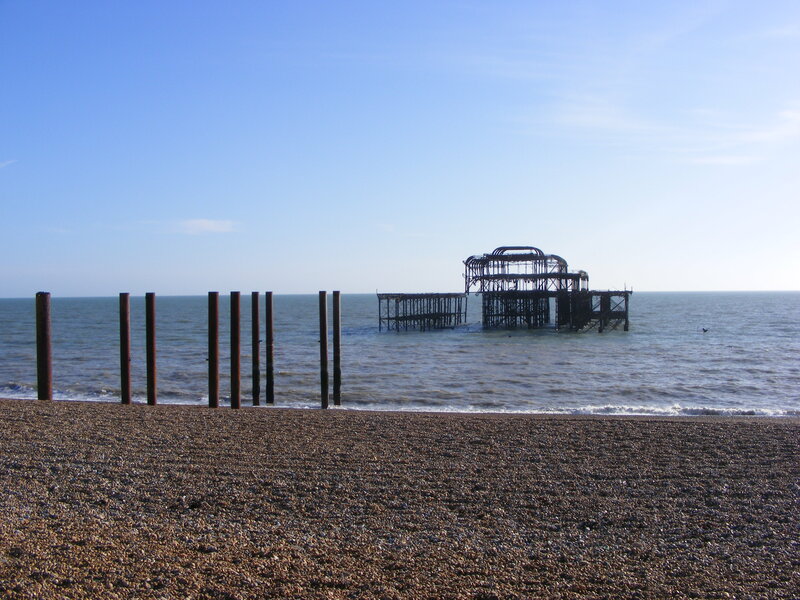 This entry was posted in Brighton, West Pier and tagged Brighton, photographs, photos, West Pier on March 9, 2015 by brightonianbelle.